Looking to upgrade to an impressive sedan that features thrilling performance while delivering incredible fuel efficiency at the same time, as well as innovative technology? If so, then you’ve probably considered the 2018 Honda Accord and the 2018 Toyota Camry. Both of these popular vehicles offer efficient performance and modern technology features designed to protect and entertain on the go. However, check out the information below to see why the new Accord makes a statement among the crowd. The 2018 Accord offers advanced powertrain options, including a turbocharged engine to deliver all the power and efficiency you need no matter which one sits under the hood. Plus, thanks to the standard driver-assistive technologies found throughout, you’ll enjoy an exciting and refined driving experience everywhere the road leads you. 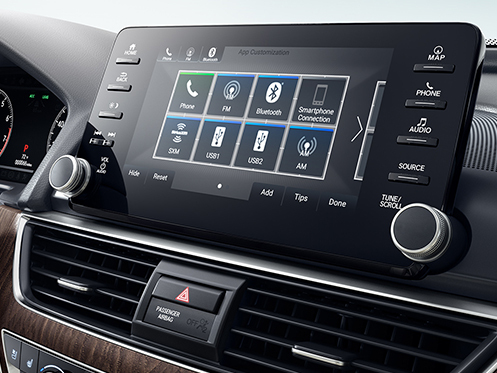 You’ll love the impressive array of up-to-date technology the new Accord as to offer, including Apple CarPlay™, Android Auto™ and a wireless phone charging feature providing convenient entertainment and connectivity wherever you’re headed. You can leave your worries at home when you hit the road in the new 2018 Accord courtesy of the numerous, standard safety features. 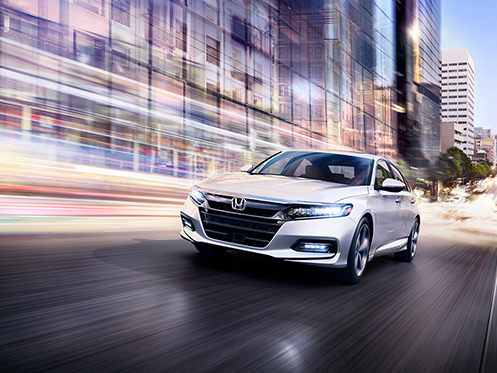 Every new Accord model comes equipped with the Honda Sensing® suite of safety technologies providing endless protection on all your travels. Thanks to features like the Collision Mitigation Braking System™ (CMBS™), Road Departure Mitigation System (RDM) and Lane Keeping Assist System (LKAS), you can enjoy added peace of mind behind the wheel. If you’re searching for fun, efficiency and the latest technology on wheels, then the new 2018 Honda Accord is exactly what you need. When it’s time to upgrade, choose Honda Conyers for customer service you can count on. Honda Conyers proudly offers a complimentary Lifetime Warranty to provide added peace of mind with your vehicle purchase for years to come. 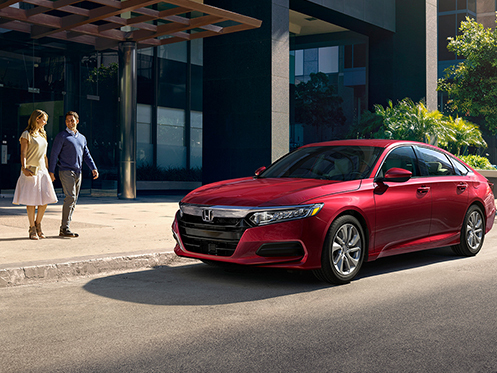 If you’re interested in driving home a 2018 Honda Accord, give us a call or stop by Honda Conyers at 1860 Highway 20 SE, Conyers, GA 30013 for a test-drive today. We look forward to seeing our customers from Conyers, GA, and throughout Atlanta, Covington and Monroe, GA.
**Offer includes one tank of gas per vehicle.